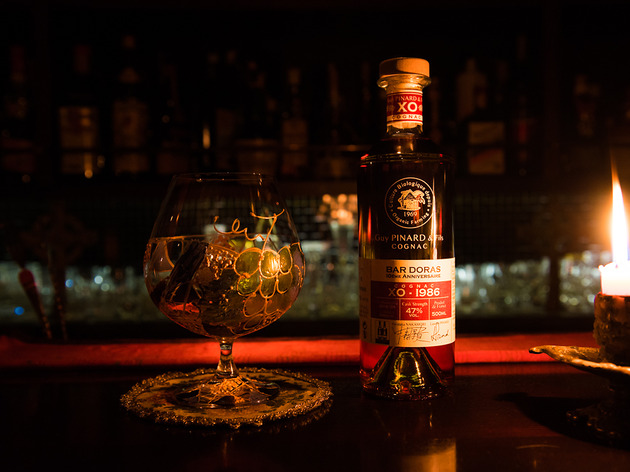 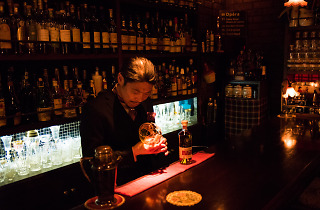 Called ‘the travelling bartender’ by his colleagues, widely respected Doras owner Yasutaka Nakamori regularly journeys to Europe in search of rare liquors to stock his shelves with. 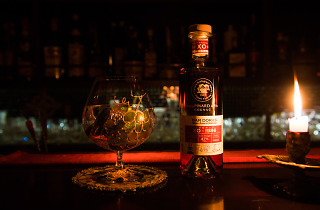 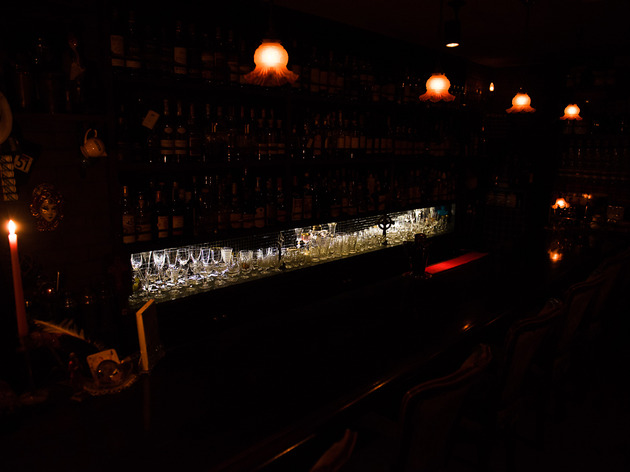 Having opened his own place in 2005, Nakamori used to also serve tequila, bourbon and other varieties of New World booze, but a growing collection of European bottles eventually convinced him to focus entirely on the Continent’s drinking culture. 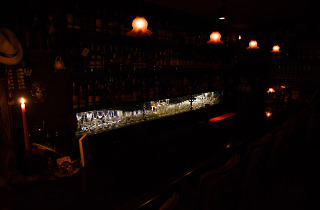 In addition to liquor, the fruits of Nakamori’s travels extend to antique glasses bought at flea markets. These centre on crystal pieces such as French Baccarat and Lalique as well as Belgian Val Saint Lambert glasses, while the painting of Prague on the left of the counter was actually bought in the Czech capital. 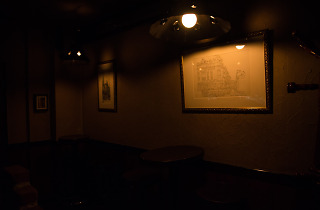 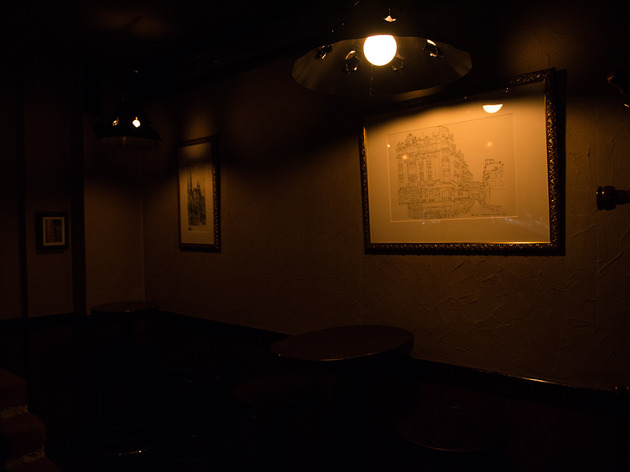 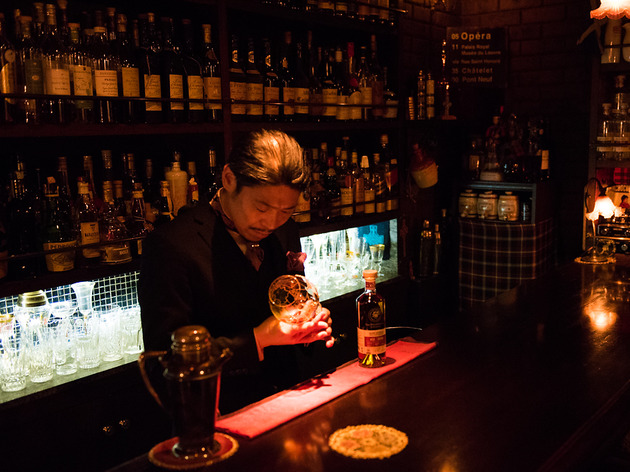 Aiming to let his customers ‘imagine the scene where the liquor was made’ by enjoying its aroma and flavour, Nakamori has made his bar an embodiment of this philosophy. 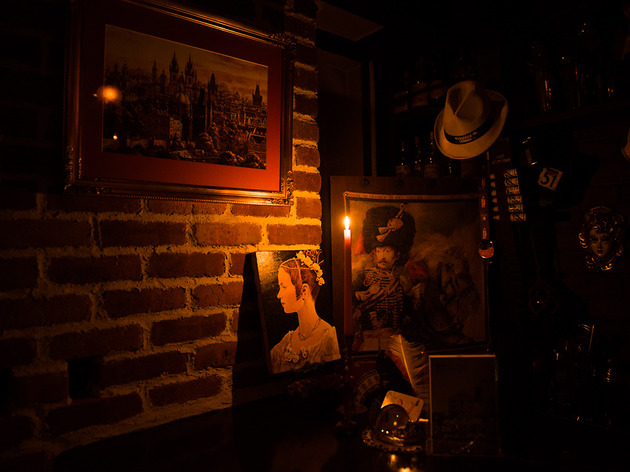 Everything is meant to be as ‘European’ as possible – from the furniture to the wall décor – but he still says it’s all a work in progress. 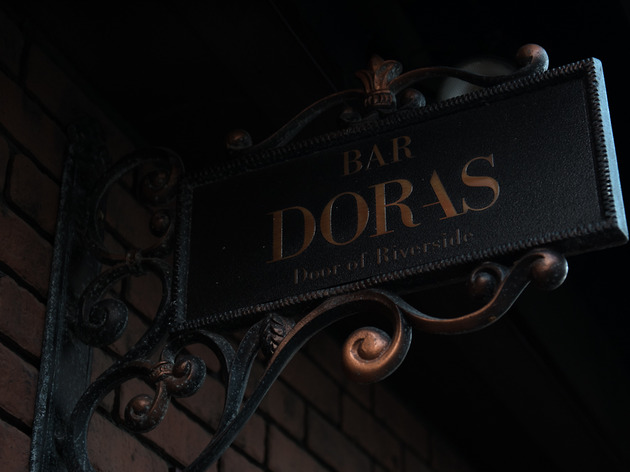 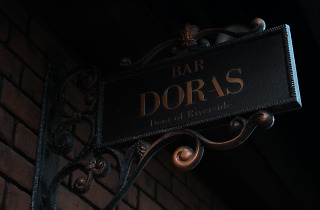 Doras, by the way, means ‘door’ in Gaelic – in this case, it’s a door that leads to a small slice of aristocratic Europe right by the Sumida River.